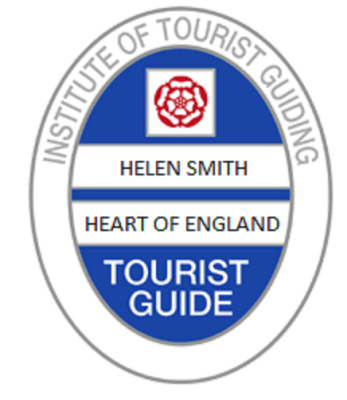 Helen is a fully accredited Blue Badge Tour Guide for the Heart of England Region and a Member of the Institute of Tour Guides. 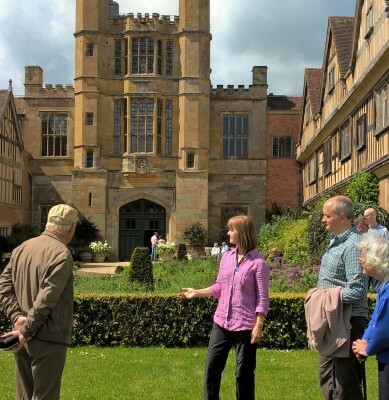 Based in Bidford-on-Avon, Warwickshire, Helen is right in the centre of this amazing part of England and ideally placed to help you get the most from your tour. Helen read History at Sheffield University and then lived and worked in South London whilst bringing up her young family. After moving to Warwickshire in 2001 she began working as a visitor guide for Ragley Hall and at Shakespeare's Birthplace. She is also a qualified teacher of English as a foreign language and gives talks and workshops at the Shakespeare Centre, Stratford upon Avon. Helen has a passion for music and currently sings with two local choirs, helping to raise many thousands of pounds for local charities. ​Other interests include gardens, art galleries, literature, drama, textiles and embroidery. recognised Institute of Tourist Guides. guides are both knowledgeable and reliable.